I pulled out the wonderful new trees from Darkroom Door’s ‘majestic mountains’ set to create today’s cards. I wanted to create two forest scenes, one on a crisp cold night, the other on a misty day. There are some similarities in the techniques and inks as well as differences which enabled me to create both looks. I began both times with cold pressed watercolour paper splattered with masking fluid. I like to have a few circles cut from frisket film on hand to mask a moon so I positioned one in the top right corner then tore a post-it note and positioned it diagonally across the panel. 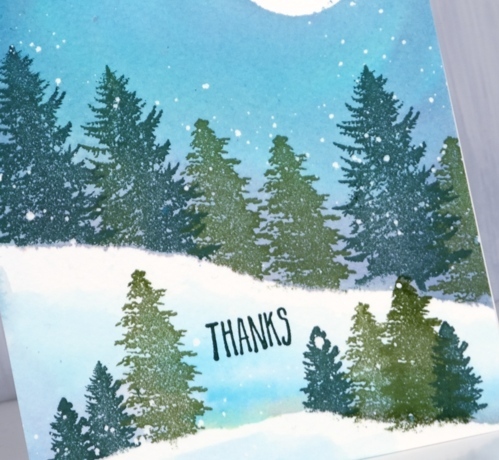 I stamped the two larger trees in versafine clair inks along the edge of the post-it mask so the trunks did not show and used one green for the largest tree and another green for the smaller. 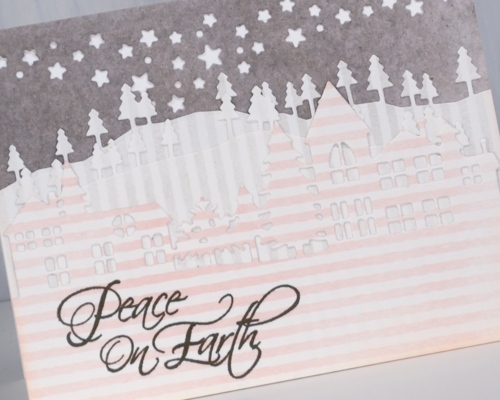 Next I removed the post-it mask and painted water along the lower edge of the stamping and upwards to fill the sky. Then while the paper was wet I added weathered wood, faded jeans and old paper distress stains to fill the sky. Once I had the sky blended I used the post-it mask again as an edge to stamp more trees including one of the smaller ones from the ‘majestic mountains’ set. 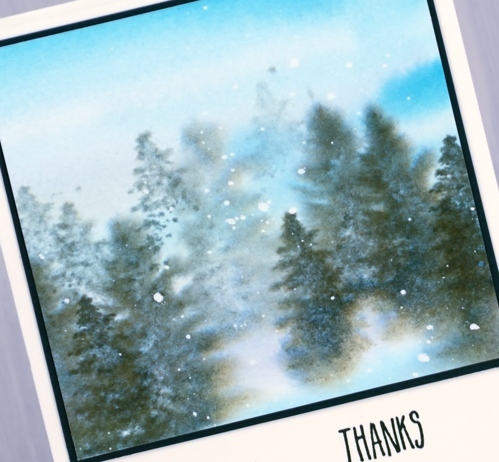 Again after removing the post-it mask I painted water and blended some of the three stains into the water to create shadows behind the trees and snowbanks. To finish it off I dried the panel, removed the frisket film and masking fluid then added a sentiment from the DD ‘pine cones’ set. Although the colours and stamps are very similar I worked very much ‘wet into wet’ to create the second card. I painted water and diluted stain over most of the panel adding stripes of faded jeans, weathered wood and old paper. 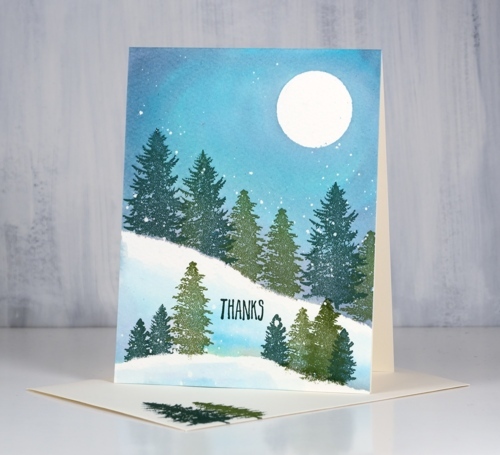 While it was wet I stamped the trees repeatedly with memento northern pine ink making first and second generation impressions to get dark foreground and lighter background images. 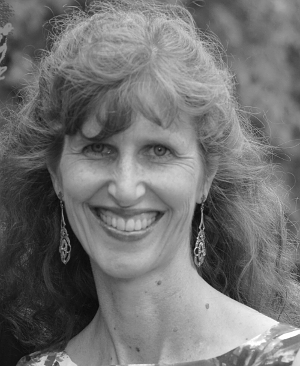 Each time I inked the stamp I wiped ink off the trunk so it would not stamp, that way the trees all looked like they were in deep snow. Believe it or not both panels started out the same size but a blot here and a mistake there meant this second one underwent some downsizing. 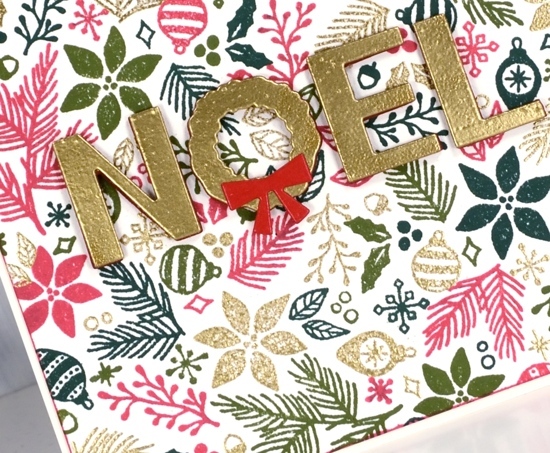 You might have noticed a stamped envelope in the first photo. 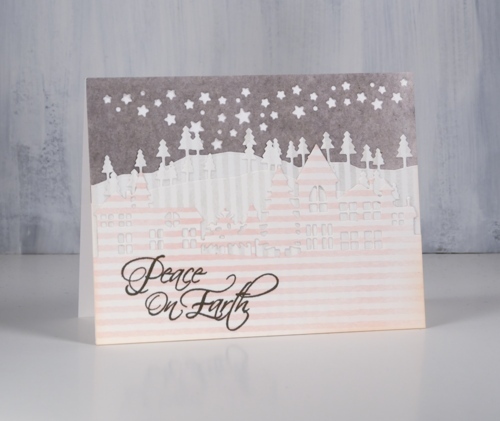 I am going to try hard to stamp an envelope and my name on the back of the card as soon as I complete it. 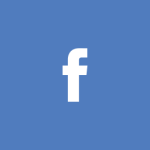 I have never been good at this but it makes a lot of sense to do it! 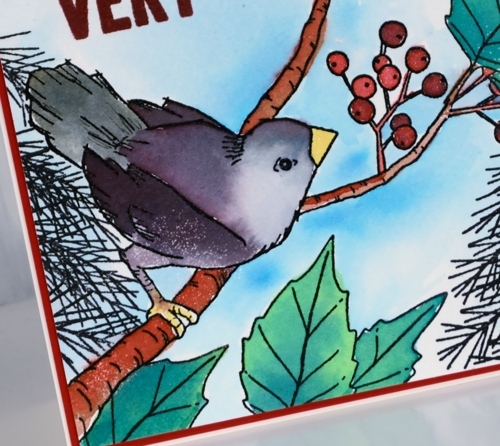 The second installment of my ‘stamping is for the birds‘ series features the Penny Black stamp ‘Winter lookout’ with a little bird on the outside looking in. 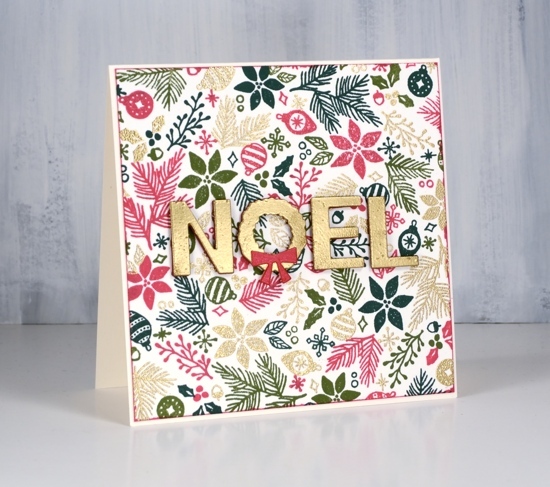 I have seen a few other beautiful cards using this stamp and wish I had added a little foliage but there is always next time. 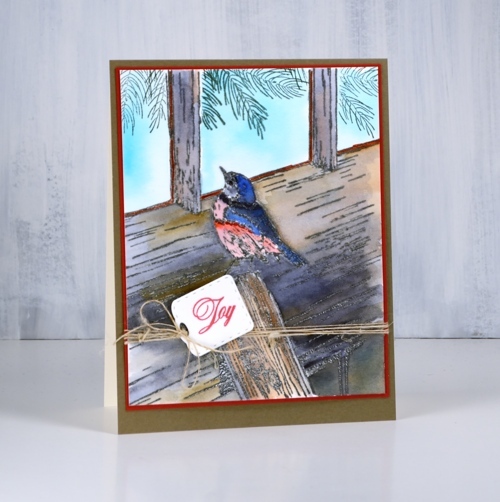 Take a look at this gorgeous card by Susie Lessard. 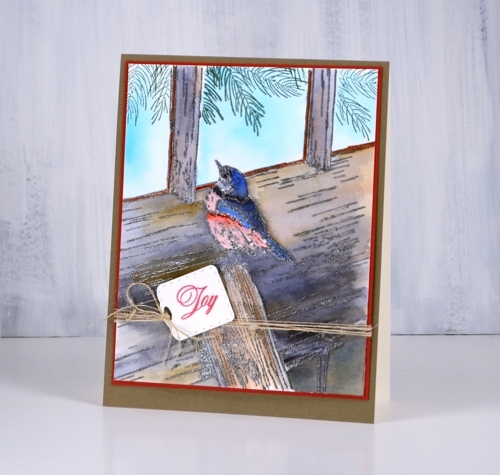 I stamped in versafine clair nocturne ink and embossed in clear powder then painted the bird and all the wood with my peerless watercolours. To create variation in the wood I painted with several browns and some warm mustard yellow as well. Once I had finished the woodwork I had to decide how I would do the window. 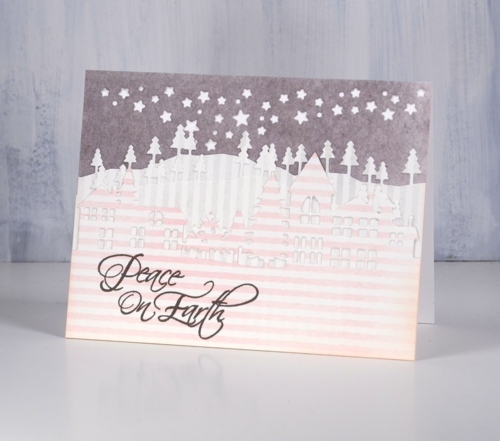 I chose frosty patterns like we often get on our windows in winter so I used the delicate snowflake stamp from the PB set, ‘A bright tomorrow’ to emboss in clear powder. 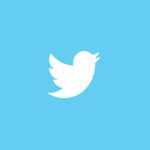 When I painted pale blue into the window area it resisted the snowflake shapes. 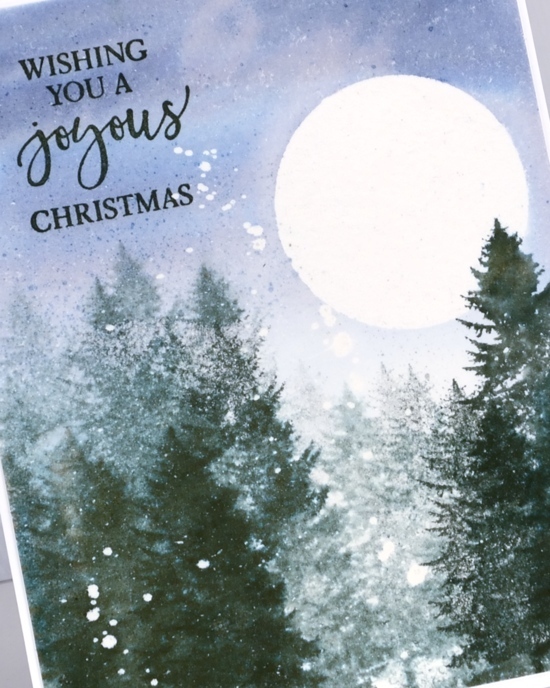 I tried a second colour scheme embossed in versafine smokey grey, featuring greys and blues and stamped some pine branches inside the windows as if garlands were hanging there. 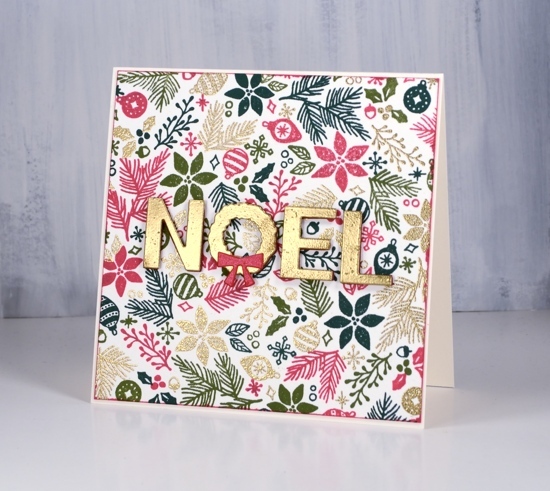 I finished both cards with co-ordinating mats and sentiments stamped on little tags from the ‘gift card pocket’ die set. 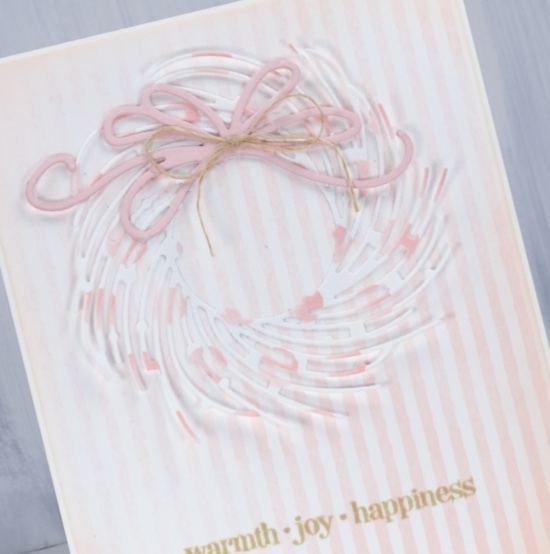 I think I have only once made a gift card pocket but I often use the little tags and banner dies from the set. 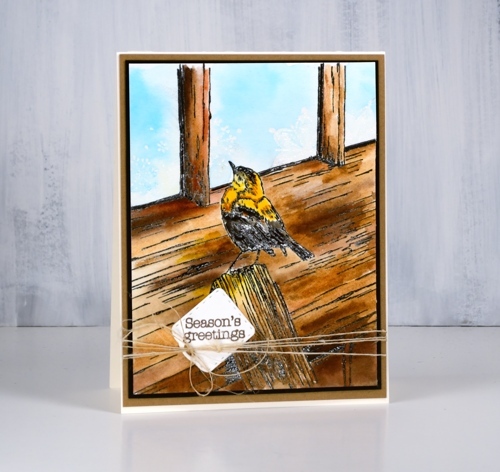 I added some finer details to both cards with black and brown markers once the painting was all finished as sometimes embossing does not preserve all the definition. 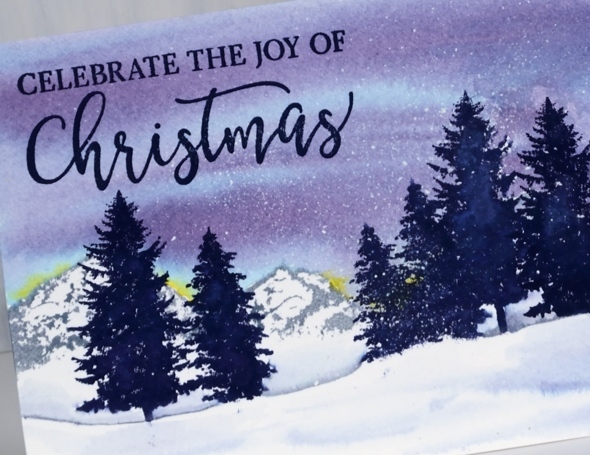 I have a few wintry landscapes to share today featuring stamps from the beautiful new ‘majestic mountains‘ set by Darkroom Door. 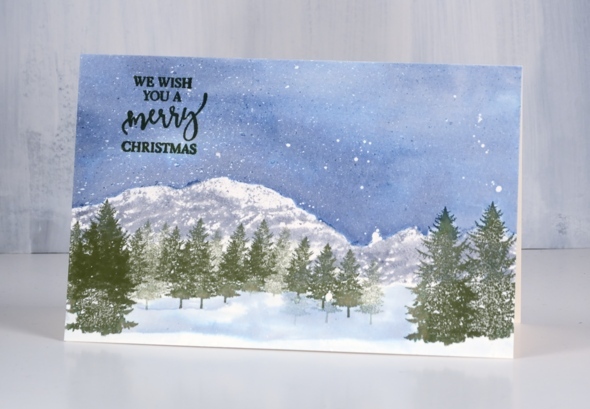 This set includes three mountains, six sentiments (not featured on these cards) and – happy sigh – four trees! 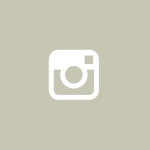 You can find step by step instructions on the Darkroom Door blog. 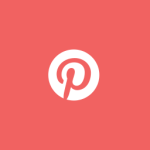 I usually list all the ingredients at the end of the post but today I have included links throughout my descriptions. On the card above I first splattered masking fluid over cold pressed watercolour paper and let it dry. I placed a torn post-it note mask across the panel then stamped the mountain several times in weathered wood distress ink so the base of the stamp overlapped the post-it. 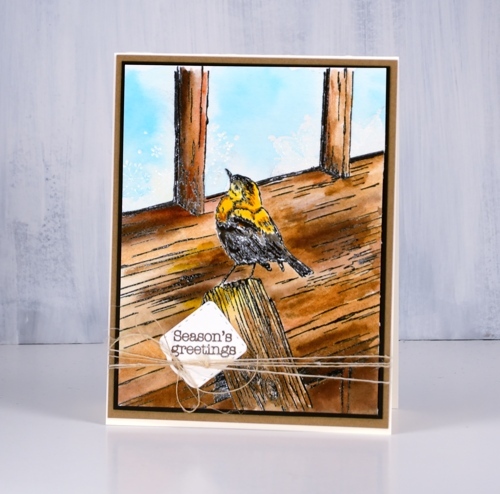 I painted the sky in dusty concord and tumbled glass distress stains then added a small amount of mustard seed stain close to mountain edges. I dried the panel then placed another torn post it note across below the base of the mountains.This was so I could stamp the trees in chipped sapphire distress ink but not have all the trunks showing. Because I was working on cold pressed watercolour paper the tree images were not solid so I used water to blend the ink. I dried the trees then painted a line of weathered wood distress stain along base of trees to create a snow bank and some shadows in the foreground. 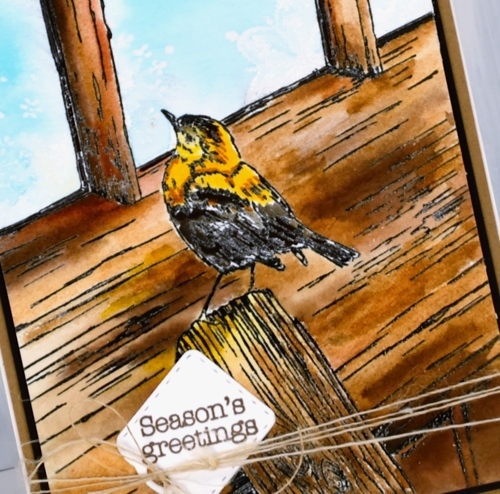 I removed the masking fluid and added a sentiment from the new Yuletide Greetings Stamp Set in chipped sapphire ink. 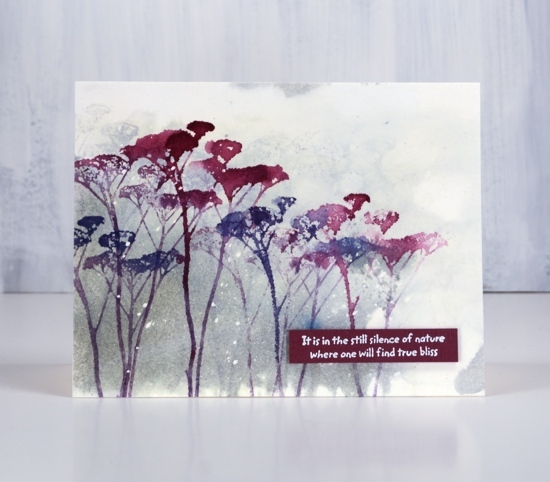 For this second card I once again splattered masking fluid but over hot pressed watercolour paper. Instead of using a post it note I partially inked the mountain stamp in weathered wood distress stain so the bases of the mountains were uneven, then stamped across the lower half of the wide panel. 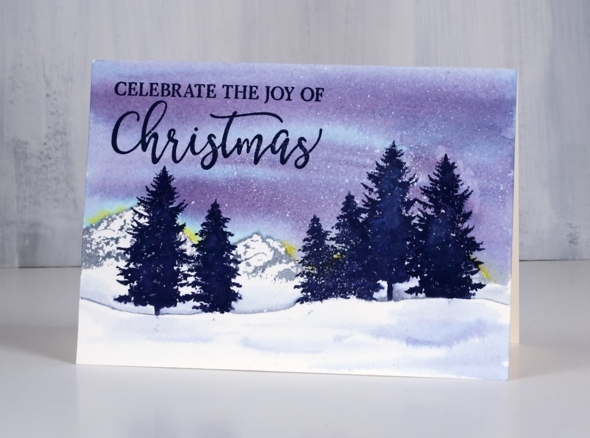 I picked a small tree and stamped repeatedly in front of the mountains in memento olive grove ink including second generation stamping to fill the space. Then I switched to large trees in olive grove ink overlapping some of the small trees. I painted the sky in stormy sky distress stain taking care to paint to the edge of mountains and tree tops then dried it completely. 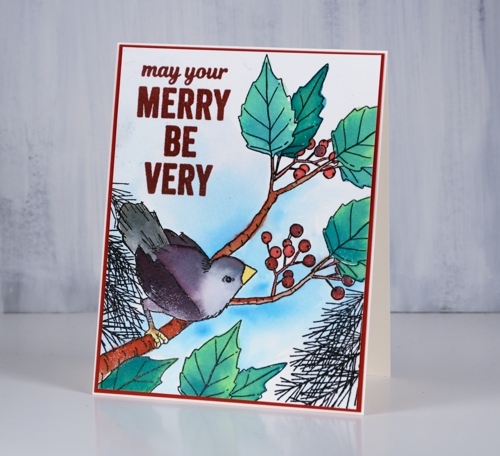 I removed the masking fluid and chose another sentiment from the Yuletide Greetings to stamp in versafine olympia green ink. 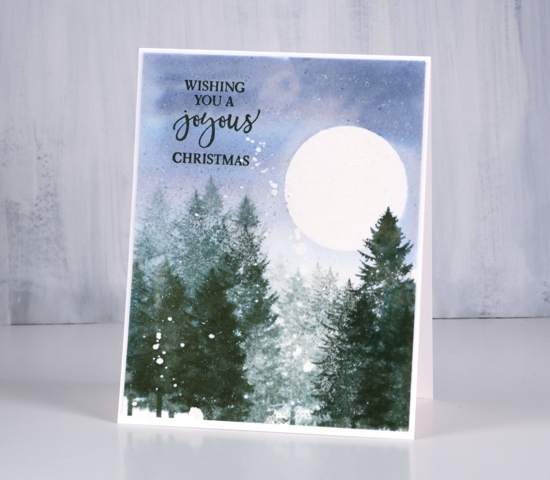 On my last card I wanted a big winter moon so I cut a circle mask from frisket film and attach to a hot pressed watercolour panel then splattered masking fluid over the panel. I painted water over whole panel then added some stormy sky distress stain keeping the colour darkest in the top half. While panel was still damp I stamped a large tree in memento northern pine ink repeatedly using first and second generation stamping for dark and lighter images. I removed the moon mask and stamped one more tree to overlap the moon. I dried the panel completely then removed the masking fluid. 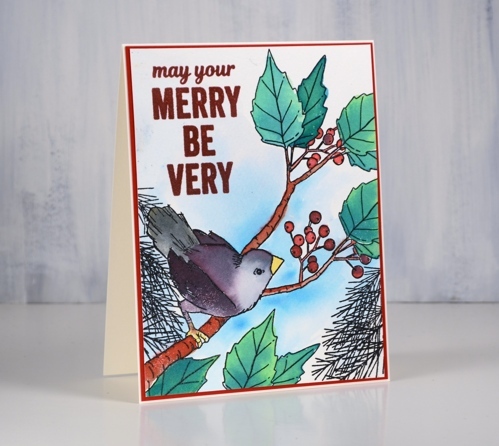 I used another sentiment from the Yuletide Greetings Stamp Set in versafine olympia green ink. This is going to be another of those lovely year round sets but I think it will be all wintry scenes from me for a while. 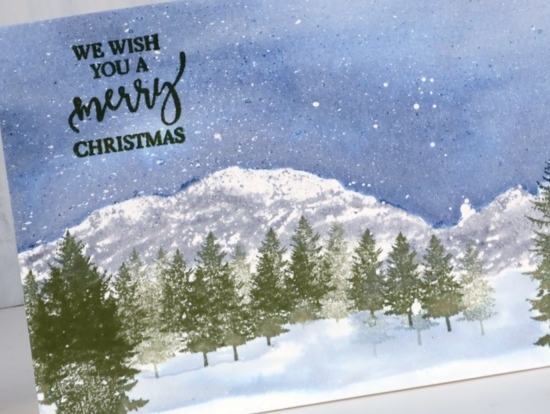 I love having new trees to play with and those mountain stamps make it easy to fill in a simple background. Even though it is still October it has been snowing for the last 24 hours! It’s not going to stay though, definitely not! 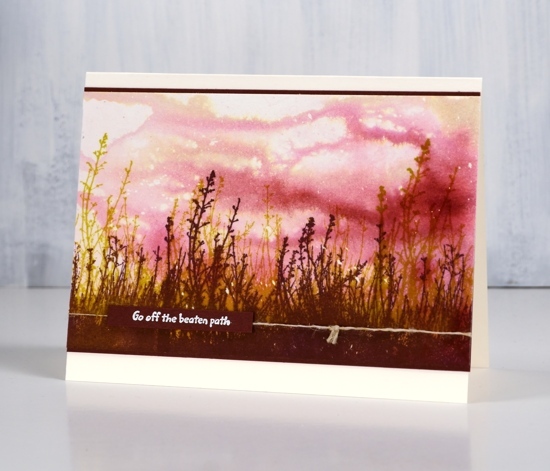 I am over on the Darkroom Door blog today sharing cards made with the gorgeous new ‘Nature Walk‘ set. 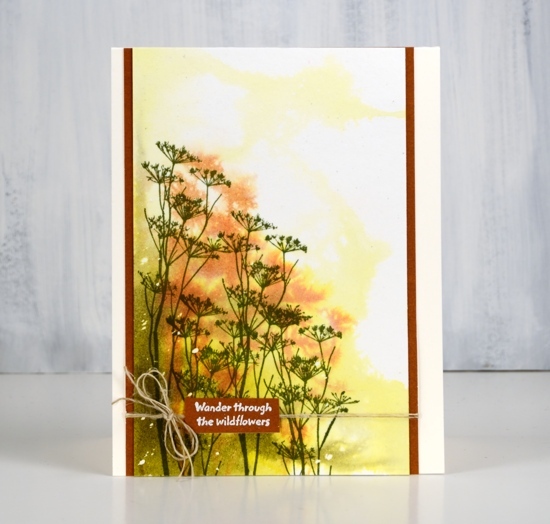 The flowers and foliage in this set have incredible detail; the first time I stamped them I was blown away by how delicate the images were. For their debut on my blog I wanted to make them as artsy as possible but I will be back showing them off in all their delicate simplicity another day. This first one is my favourite of the three in this post; it reminds me a little of trees in some of Sydney Long’s paintings. To begin I splattered some masking fluid over hot pressed watercolour paper and let that dry. Next I wet most of the panel with water and repeatedly stamped the round topped wildflowers in bundled sage and iced spruce distress stain. 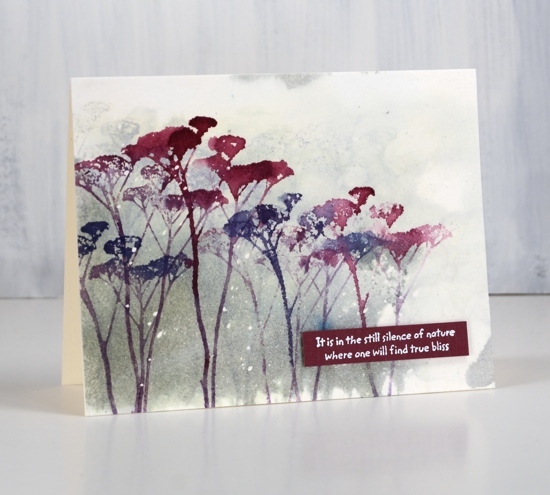 Distress stain is a liquid so it doesn’t stamp a sharp detailed image; stamping it onto partially wet paper resulted in soft background colour with a few shadowy flower heads appearing. I let the panel dry then inked the stamp with chipped sapphire, seedless preserves and dusty concord stains then stamped it several times across the panel. 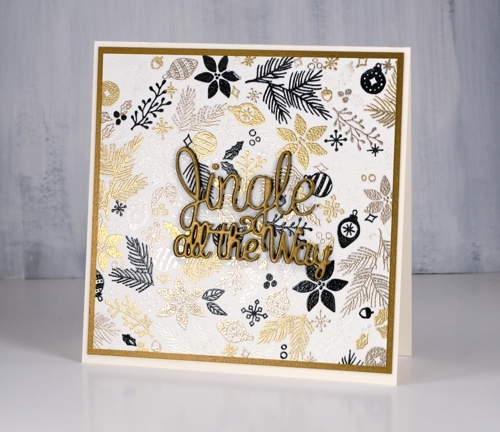 When the panel dried I rubbed off the masking fluid, added a sentiment embossed in white on co-ordinating cardstock and attached the panel to a white card base. 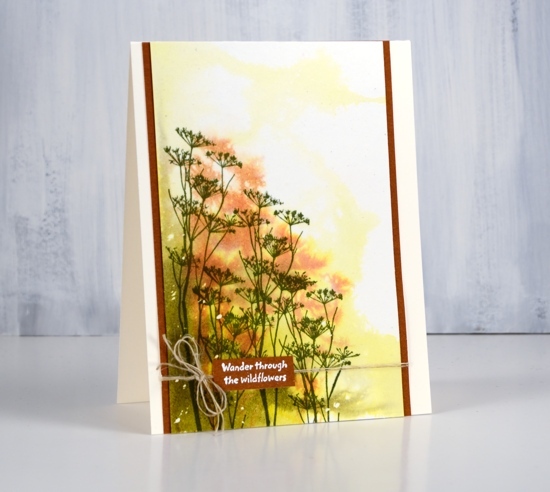 For the autumn toned card I once again I started with a hot pressed watercolour panel splattered with masking fluid. I spritzed the panel with water, sprayed some crushed olive distress stain onto my glass mat then swiped the wet panel through the stain. I repeated the same process with forest moss stain but tilted the panel to stop the forest moss overtaking the crushed olive. 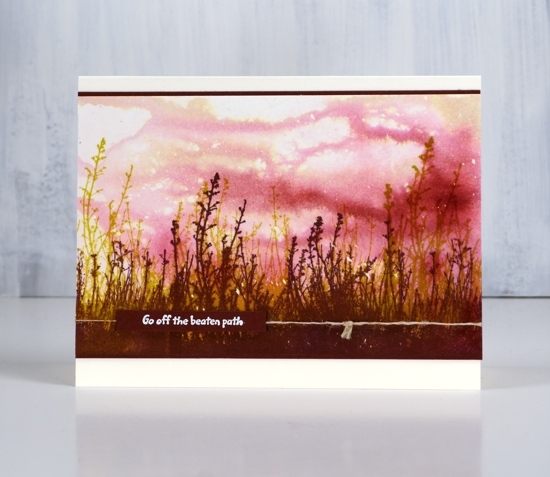 While the panel was wet I stamped another of the wildflower stamps in rusty hinge stain to get soft background images then dried the panel completely before stamping the same stamp in versafine clair shady lane ink. I finished it off with some twine and an embossed sentiment. I stamped the grasses in golden meadow versafine clair ink a little up from base of panel then in chianti versafine clair ink a little lower down but still overlapping the previous stamp. 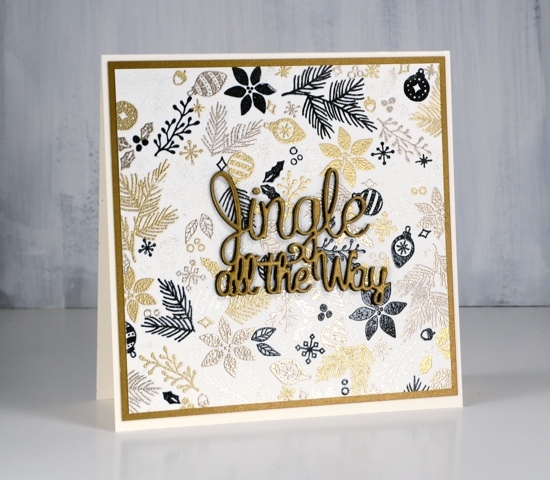 When the stamping was completely dry I removed the masking fluid and wrapped twine around panel, added a mat panel in a co-ordinating cardstock and stamped another tiny sentiment on the same cardstock in versamark so I could emboss in white. I like the pairing of loose painted backgrounds with sharp stamped foreground in these panels and I’m so happy to have these new stamps in my collection. 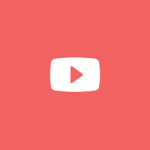 Stay tuned to see them again.